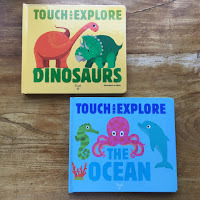 There has been a fantastic influx of new non-fiction books aimed at preschoolers and toddlers. Something that goes beyond word-primers. Goes beyond simple photographs and words beside. So I asked on our social media if you were interested in a blog post collating them all and you said yes! So here are some of our favourites, though not all of them because that would be one long blog post. 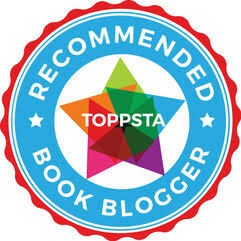 If you would like to see some others that we enjoy I'm tagging them all under the label 'fantastic non-fiction'. Without further ado here are our newest fact-tastic non-fiction for tots! 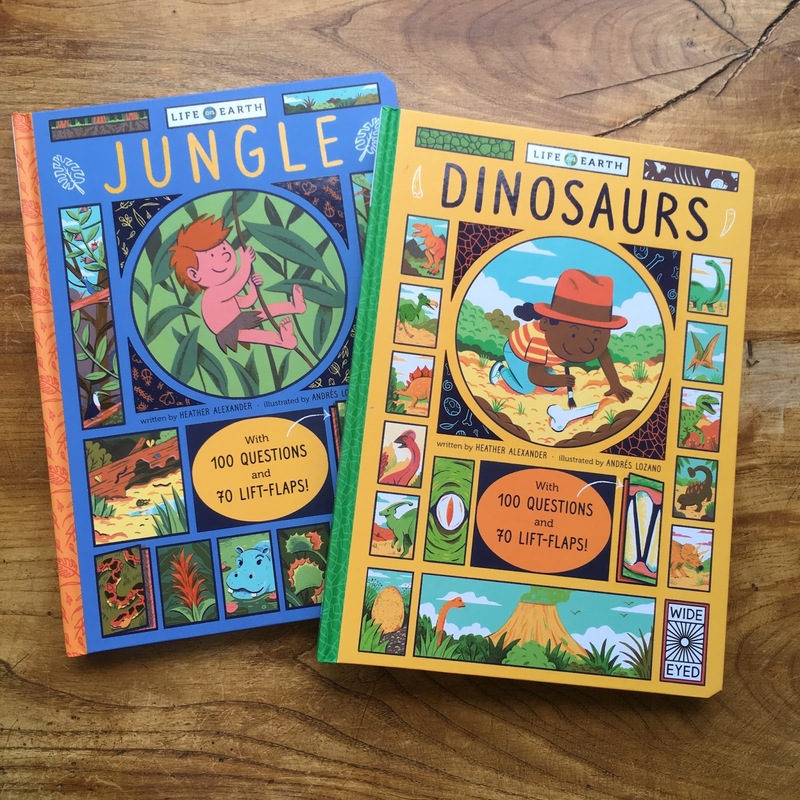 These two books are part of a brand new series published in collaboration with the Natural History Museum, giving children 10 reasons why each animal is amazing and five ways they can show they love it! The are perfect for any little animal enthusiast! Each page is beautifully illustrated making the animals absolutely charming. I love that these are illustrated rather than photographs which are more traditional for non-fiction as it really captures BookBairn's fascination far more than photographs do at the moment. 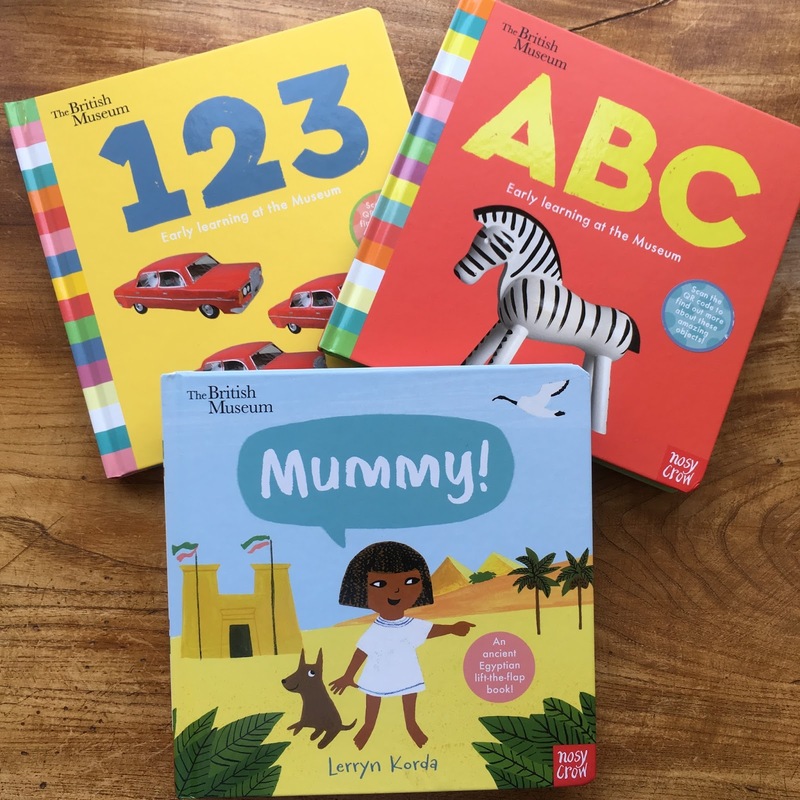 The facts are written in toddler-friendly language, without being patronising, and including some words which will extend their vocabulary (something that I am looking to do with BookBairn as she is a real wee linguist). The facts are also really interesting, for example, did you know that turtles are as ancient as the dinosaurs? Or that they live for up to 150 years? Or that elephant heards are headed by their grandmothers? Or that they walk on their tiptoes? And scattered throughout the book are little rosettes of information on ways to protect these brilliant beasts. For example, buy paper made from recycled elephant poo; or don't leave litter on the beach that turtles might gobble by mistake. In short these books are informative, beautiful and brilliant! Can we first just talk about how cute these illustrations are? From the two children who explore and investigate throughout the book to the style of boxes of information arranged in a geometric grid that is a visual delight. 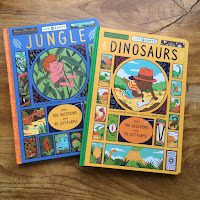 And if you want to know more and more facts about the perennially popular topics of dinosaurs and jungle (or human body and farm which are also part of the series) these books answer over 100 questions about the subjects. But what makes these books so wonderful? They are lift-the-flap. Over 70 flaps. Want to know the answer to the questions you have to lift the flap. Such a fun and interactive way to engage little ones in non-fiction. I would say the information and style of these books are still a little complex for BookBairn, though she does like to lift the flaps anyway. Probably better for 4+ but they are absolutely superb! When I was teaching one of the things that always amazed by was how children learned so much more when they could engage their senses. And these books are great for that! 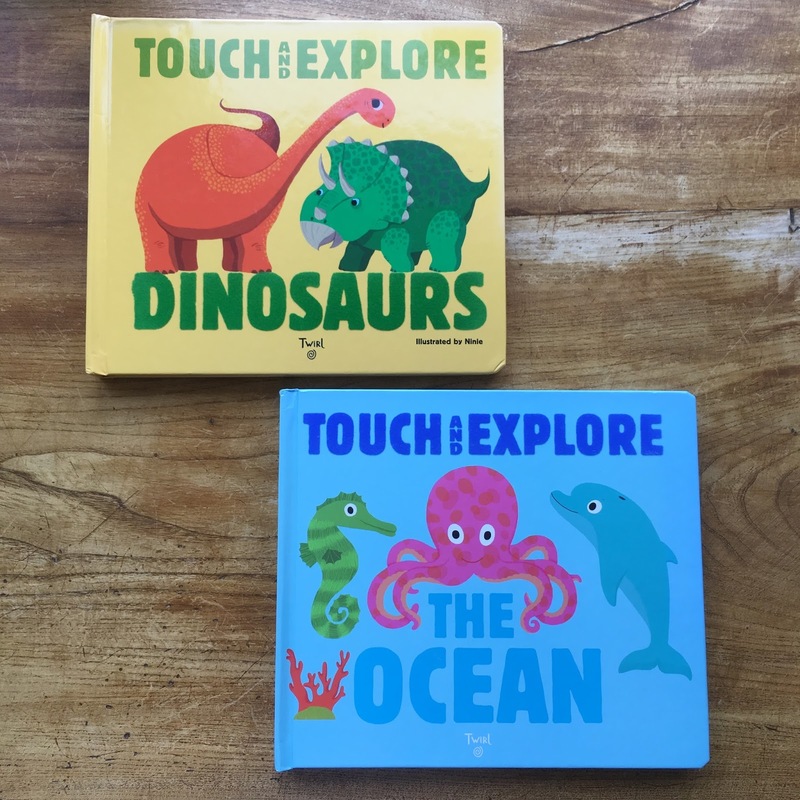 Children can explore the facts in these books whilst feeling the smooth skin of the manta ray or the leathery shell of the turtle or the feather-y wings of a flying dinosaur (microraptor). Also the facts in these are laid out in a more traditional style with text boxes of information (some are under flaps though) and labels around the illustrations. I love these and so does BookBairn! She requests them over and over again and no wonder: they are a treat for the senses! And a great way to learn! Firstly, I have gathered these books together as they are all part of collaboration between Nosy Crow and the British Museum but they are really two separate styles of non-fiction. 'Mummy', illustrated by Lerryn Korda is a lift-the-flap board book where a little Egyptian girl can't find her mummy and she needs the help of your little reader. You work your way through a whole host of ancient Egyptian animals and artefacts until you come across her mummy (after finding a real Egyptian mummy first of course!). This is an ingenious piece of narrative non-fiction that will appeal to little readers who can appreciate the little girls search for her mummy. I know that BookBairn says "mummy always comes back" at the end, which is something I said to her in the run up and after her brother was born as I knew she would wonder where I had gone. It is a great way to introduce this fascinating world to little ones and I hope there will be more books like this for other ancient worlds. ABC and 123 'Early Learning in the Museum' are two in a new series (with Colours and Opposites out later this year) that feature some of the fascinating objects from the British Museum collection. These are a great way for inquisitive little readers to learn about familiar concepts of numbers and letters but through fascinating objects that represent a multitude of cultures from around the world and objects that span a timescale from thousand-year old relics to 20th century toys and Egyptian jewellery to African instruments. And these books are primarily photographs (or photographs of artwork) making them more like traditional non-fiction which makes a good balance for your library. The world at her feet! One of the clever parts about this book is that grown-ups can scan the QR codes in each book to find out more about the featured objects and the final page feature an index (of photographs) of the objects and you can learn more. I would love to take BookBairn to spot these objects in the museum once I can brave taking her on a flight or train to London. I hope you feel a little more informed about non-fiction for your little readers and have spotted a few books you would like to add to your library. 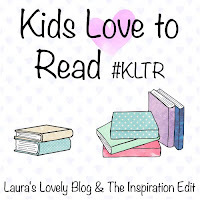 Lovely books and I really like the idea of BookBairn reading factual books. I'm sure she'll enjoy them. I saw your post this morning but haven't got to reading it yet! I love that it looked like you had different books too so even more great recommendations. Thanks - I love that photo too! Absolutely fantastic books for toddlers! I'm also a huge fan of Campbell books and Quarto at the moment for great non-fiction! It's great that there are more accessible books for toddlers appearing every day! These are really cool. I love books on facts and life on earth series look fantastic. As a child these were always my favourite type of books, the ones full of facts and information. I love a good story too but fact books for little ones have always seemed rather dull up until now. So glad publishers are filling this gap in the market!